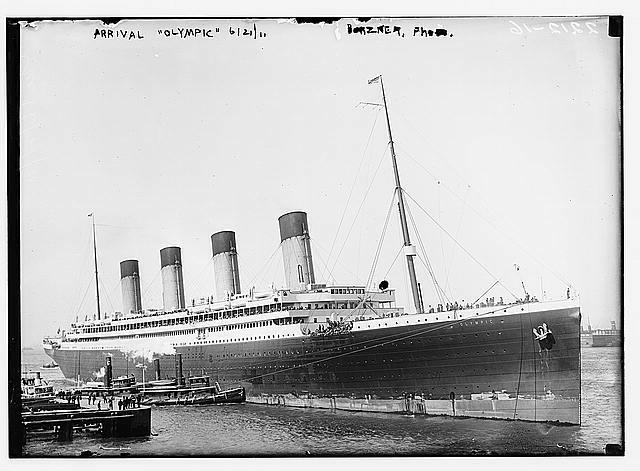 Olympic arriving in New York on June 21, 1911. This was the first in the series of ships which included the Titanic. The third was the Britannic. The story of Titanic’s sister ship on the night of 14/15 April 1912 gives a unique new insight into the Titanic tragedy. 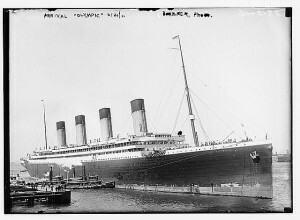 Entering service fully ten months ahead of Titanic, the Olympic was a near identical sister ship, the first of a class of three liners, two of which would sink. 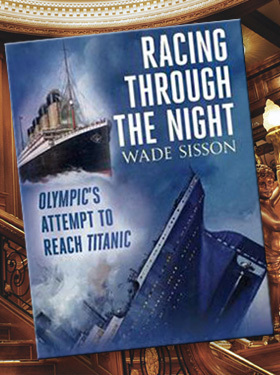 Wade Sisson tells the story of the Olympic on that fateful night, how she was merely 350 miles away, outward bound from New York back to Southampton. 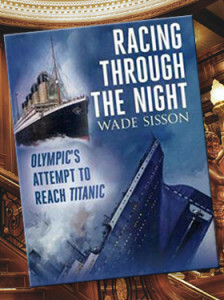 Titanic’s faint distress signals were heard by the Olympic and her Captain, Haddock, prepared her for the rescue mission. Steaming at full speed towards the scene of the disaster, she was readied to receive passengers and crew from the doomed liner. She was too late, but wanted to collect the survivors from the much smaller Carpathia and transport them back to New York. Captain Rostron, of the Carpathia, sent a fateful message informing Haddock that she would take the passengers back to New York. It was feared that a ship to ship transfer using the Titanic’s lifeboats would be too traumatic for the lucky 700 passengers and crew from the Titanic and that the sight of her near identical sister would create panic among the survivors. Arriving back in England, the crew of the Olympic mutinied until extra lifeboats were fitted aboard and on her next return voyage, she nearly ran aground off the Lizard, in Cornwall. This is her story of the Titanic disaster and it is a thrilling one.